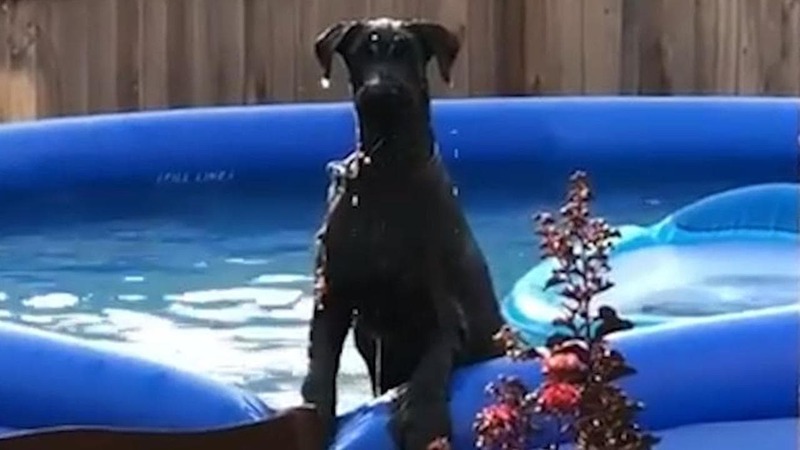 Baxter was enjoying a dip in the pool when he noticed he was being filmed! 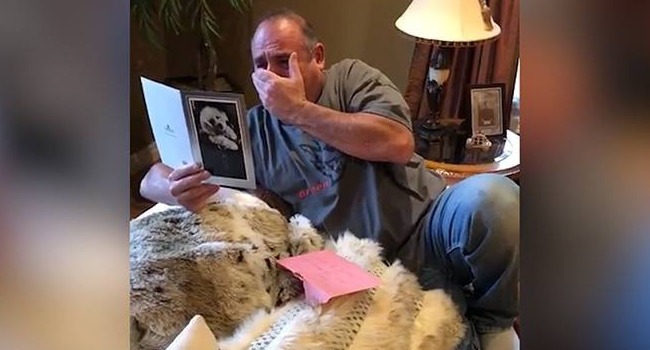 Dog News Facebook Featured Food for Thought Friendship Happy Ending Heroic Dogs Inspirational Dog Videos Rescue Rescue Video Social Media Strange News The Dodo Video Viral Video Wow! 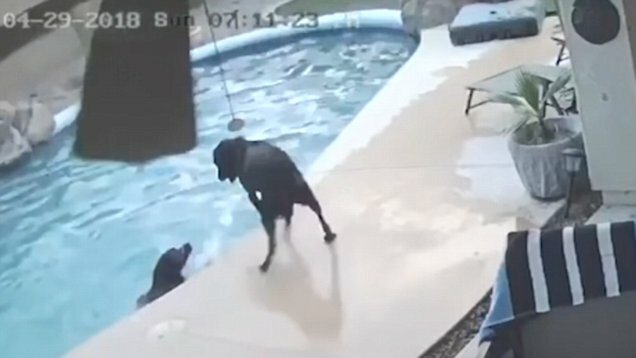 When Smokey finds himself unable to get out of the pool, Remus jumps in and helps him to safety! 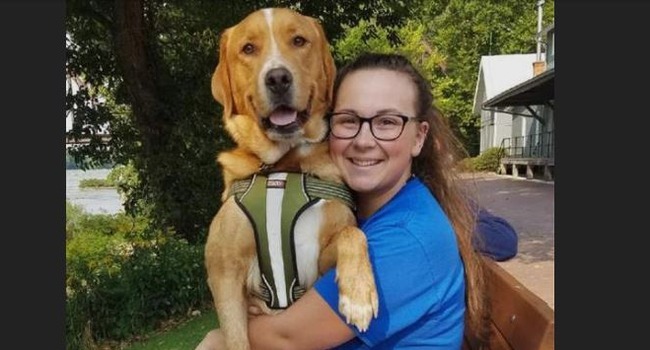 When Alexis Waclawski posted a video of her dog, Moose, snoring, she imagined it would get maybe 20 “likes….” Now it’s gotten millions! The video of this homeless man and the dog he credits with saving his life has melted hearts around the world. 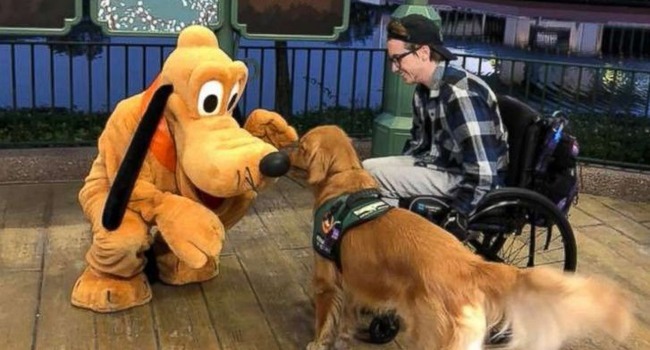 Viral Video: Service Dog With Stuffed Pluto At Home Meets The Real Deal at Disney! One of Atlas’ favorite toys is his Pluto doll, so imagine this pup’s excitement at meeting what may have seemed to be a life-sized Pluto plushie! Need Work-Week Inspiration? 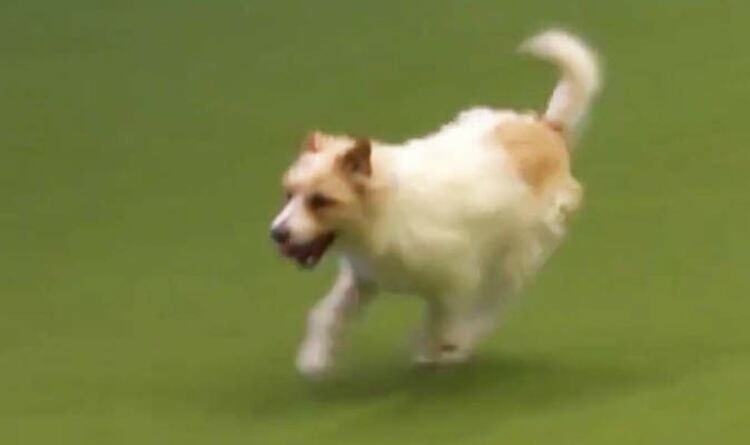 Watch Olly Run The Course at Crufts! No one’s run through life’s obstacle course is without a few face plants! Olly, you’re an inspiration! Awww! 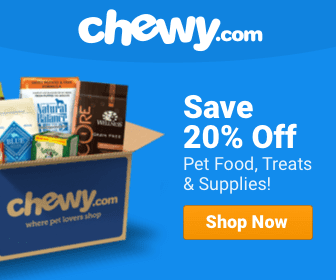 Cute Dog Videos Dog Dad Dog News Facebook Featured Inspirational Dog Videos International Puppies Rainbow Bridge Social Media Video Viral Video Wow! We’re not going to lie. We cried our eyes out watching this one! Empanada-Stealing Dog Will Steal Your Heart, As Well! 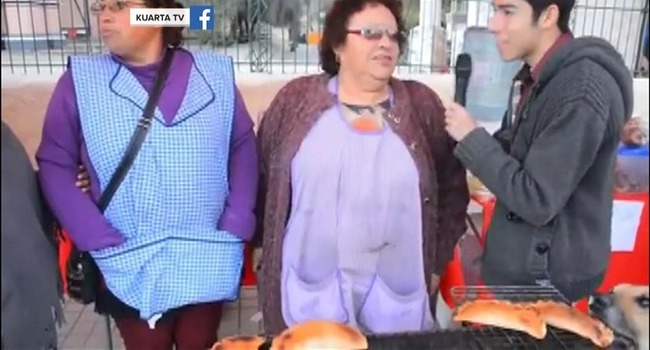 These food vendors got more publicity than expected when an opportunistic dog stole the show during their segment! Dog News Firefighters First Responders Happy Ending Heroic Humans Police Rescue Rescue Video Video Viral Video Wow! 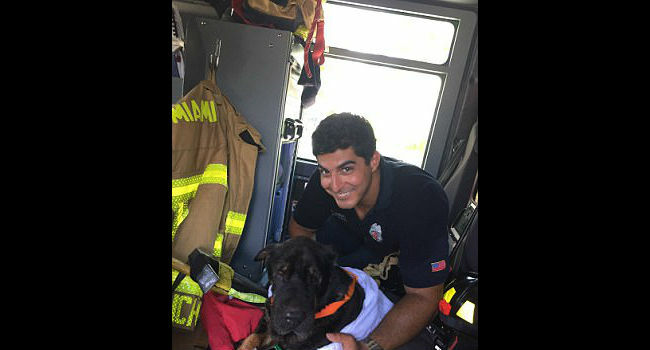 The video of firefighter Emilio Sanchez rescuing a dog as it struggled to survive in Biscayne Bay has gone viral. And gotten Sanchez lots of attention.